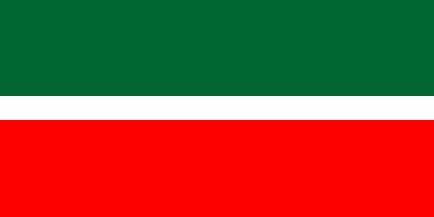 The Republic of Tatarstan is situated in the middle of the Volga Basin, at the confluence of the Volga and Kama rivers. The population of Tatarstan is 3.7 million, of which 48 percent are Tatars and 43 percent are Russians. The region’s Tatar people are descendants of nomadic tribes who had migrated westward from Siberia between the 10th and 13th century. They are a people which come from three main ethnic groups, all of Turkic origins. The first settlements in the territory of the Republic of Tatarstan date back to the Paleolithic period, about 100,000 years ago. In the 10th century, ancient Bulgar tribes, ancestors of the Tatars, populated the Volga region and formed Volga-Kama Bulgaria, the first feudal state in northeastern Europe. In 922, Islam was established as the state religion. Tatarstan survived annexation to the Empire of Genghis Khan, but later fell under the rule of the Soviet Union. After the fall of the Soviet Union, Tatarstan struggled for recognition despite its 1990 declaration of sovereignty and a bilateral power-sharing treaty between the Russian Federation and the Republic of Tatarstan. In the mid-1990s, Tatarstan experienced positive developments, including a growing economy. Tatarstan: Why Putin Reappointed Tatar Leader?